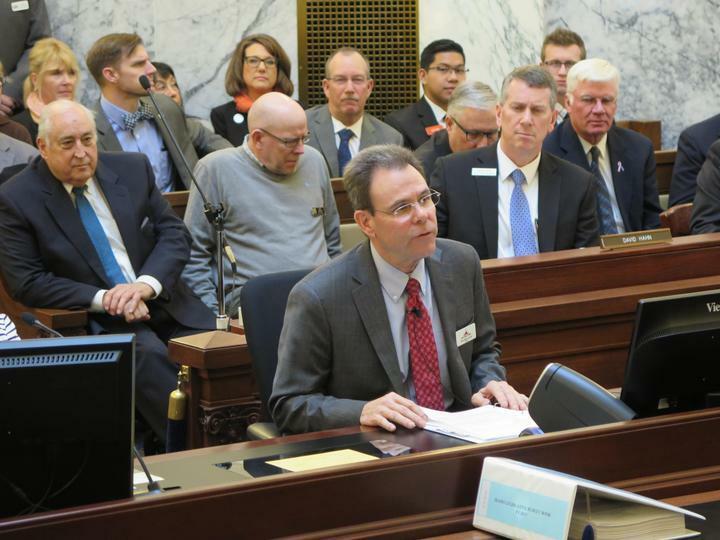 UPDATED: Tue., March 6, 2018, 10:08 p.m.
Idaho lawmakers set a budget for the state’s community colleges on Tuesday that exceeds Gov. Butch Otter’s proposal, which would have resulted in a cut to North Idaho College’s budget and stopped the expansion of the Coeur d’Alene institution’s popular new computer science program. Instead, the budget approved on a 19-0 vote in the Joint Finance-Appropriations Committee includes $307,700 to expand the program to serve twice as many students as the 60 it can take now. The computer science program is a collaboration between NIC and the University of Idaho that allows students to study for their first two years at NIC, then transfer to the U of I and earn four-year degrees – all without leaving Coeur d’Alene. It is in its second year; NIC officials said there’s enough demand to double the number of students to 120. An array of line-item requests from the state’s community colleges went unfunded in Otter’s budget recommendation for next year, as Otter focused new funding based on the recommendations of his higher education task force. Horman’s proposal added back in both the computer science program expansion, and $385,000 to offset benefit cost increases at NIC and the College of Southern Idaho. That’s similar to a move made earlier in the higher education budget for the University of Idaho. The U of I, NIC and CSI all are self-insured, so the state’s approach to benefit cost funding next year – relying on drawing down reserves to cover part of anticipated premium increases – otherwise would mean a big expense those colleges would have had to pick up. Overall, the community college budget that lawmakers approved shows a 17.1 percent increase in state general funds, but that’s largely because of the addition of the new College of Eastern Idaho. Otter’s budget recommendation showed a 15.3 percent increase. Broken down by institution, the budget reflects a 1.5 percent increase in state funding for NIC; 1.1 percent for CSI; and 10.9 percent for the College of Western Idaho, largely driven by enrollment workload adjustment funding tied to that college’s fast-growing enrollment. The new CEI would receive $5 million in state funding. Otter’s budget would have resulted in a 2.3 percent decrease in state funding for NIC next year. The budget still needs passage in the House and Senate and the governor’s signature to become law, but budget bills rarely change once they’re set by the 20-member joint committee. Published: March 6, 2018, 2:22 p.m. Updated: March 6, 2018, 10:08 p.m.